Our client can customise their bicycle ride and sight seeing program along with hiking to beautiful and historic Tshaktsang Monastery. Please contact us for the package along with your customised travel and adventure tour. Day 1: Bumthang sight seeing There will be a sight seeing program of beautiful Bumthang. Our Guest have the option to visit the sights on bicycle or using bus. All of the rides will be done on 100% tarmac roads. This trail allows our guest to visit and catch glimpses of Himalayas via mountain bike. The route will connect towns and countryside of Bhutan as we ascend and descend some of the highest passes in the country. Taking you into central Bhutan, the heartland of Buddhism in the Kingdom, you will discover hidden valleys and cross High Mountain passes. To ensure the safety of our guests, we suggest that you start mountain biking in your own home country a month before this trip. 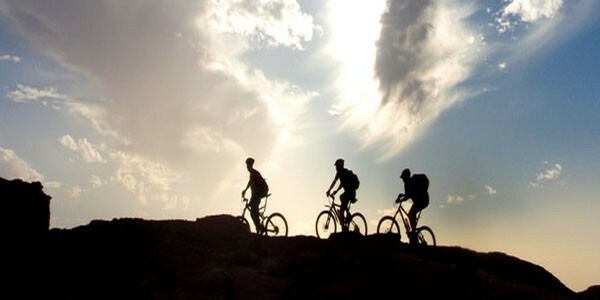 Once you are here, we take care of everything to support the mountain biking experiences.